Bring battle-tested honor to your favorite tux! 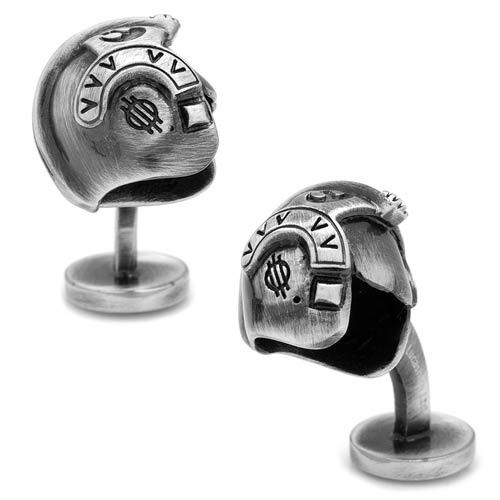 These Star Wars 3-D Luke Skywalker Helmet Cufflinks are constructed of an antique finish silver plated metal, measure approximately 3/4-inches tall x 3/4-inches wide, and come complete with a fixed Star Wars logo backing. Officially licensed by Lucasfilm. Ages 13 and up.